Patterson Belknap Webb & Tyler LLP is pleased to announce that Craig A. Newman, a prominent litigator who has represented a number of the world’s top investment firms and financial services companies, has joined the firm as a partner in its Litigation Department. He will continue to advise global companies, investment firms and their boards in complex business, governance and litigation matters. A nationally-recognized authority on cybersecurity, he will also lead Patterson Belknap’s Privacy and Data Security Practice Group, and be a member of its Structured Finance Litigation Practice Group, which handles significant disputes among financial and investment entities including major banks. Mr. Newman has more than 25 years of experience as a general counsel, corporate executive, and law firm partner. His practice involves both litigation and corporate counseling. 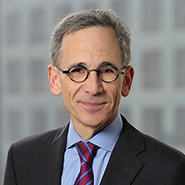 Mr. Newman regularly advises Fortune 500 companies, financial institutions, investment funds, hedge funds, asset managers and their leadership teams and boards, including special board and litigation committees, on a wide range of matters including corporate governance, transactions, internal investigations, regulatory matters, and cybersecurity. Mr. Newman joins Patterson Belknap from a midsize law firm in New York. Previously, Mr. Newman served as General Counsel of a $6.5 billion multi-sector global investment firm, and as General Counsel of Americast, the Disney-led national media, communications and technology consortium co-owned by the nation’s largest telecommunications companies. Mr. Newman appears on CNN and Bloomberg, focusing on issues at the intersection of finance, technology and privacy. He has written pieces for The New York Times, The Washington Post, The Wall Street Journal and Financial Times, among others. A former journalist, Mr. Newman serves as Chief Executive Officer of the Freedom2Connect Foundation, a Washington, D.C.-based nonprofit foundation which funds technology initiatives that address the growing issue of global Internet censorship. He is Chairman of the National Board of Advisors at the Cronkite School of Journalism & Mass Communication at Arizona State University, where he is also a Trustee and a Member of the School’s Hall of Fame. Mr. Newman served as a law clerk to the Honorable Philip Pratt, Chief United States District Judge for the Eastern District of Michigan. He earned his J. D. with honors from the University of Detroit School of Law, where he was Editor-in-Chief of the Law Review and a Burton Scholar. Mr. Newman earned his M.A. from University of Missouri – Columbia School of Journalism, and his B.S. from the Cronkite School of Journalism & Mass Communication at Arizona State University.